Thanks for being so amazing at organizing our deliveries! As is usually the case, the driver was communicative, early, friendly, great to work with and our items were all there. 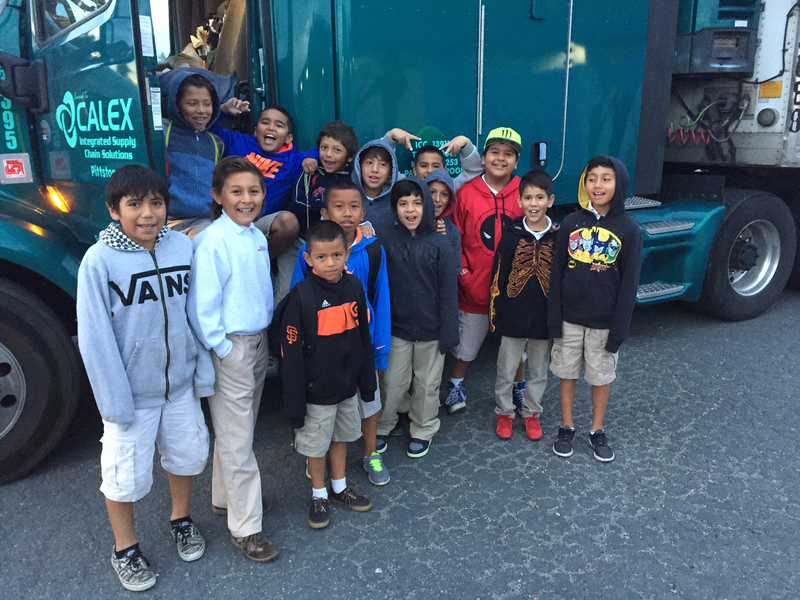 These kiddos thought the Calex truck was pretty much the coolest thing in the world! I think if the driver left it on site, we could forego building the playground. The driver was very sweet and even opened the hood and pointed out engine parts to some very intrigued students. Congratulations to our long time employee Bob Beardon!